Welcome to the second video in this three part series exploring the role of ‘attitudes’ in trading. In this video training you will learn the psychological structure of your attitudes so you can understand the influence they have on trading activities. The first is the ‘cognitive’ component of the attitude which refers to the beliefs, thoughts, and object attributes that you associate with the something or someone you are evaluating. These beliefs, thoughts and object attributes will be part of the internal evaluation process you use as you endeavour to find that “settled way of thinking or feeling” about the object, person, or experience. Often the creation of an attitude will be influenced by what you think and feel about the ‘attributes’ or characteristics associated with a particular thing or person. The more positively or negatively you respond to these attributes, the more likely you are to develop a positive or negative attitude respectively. For example, one reason you may buy into a trading system could be because you think it will be easy to use because ‘ease of use’ is an attribute that appeals to you. If it subsequently turned out that the system was more complex and difficult to use than expected your previously formed ‘attitude’, based on the original evaluation and judgement of the system as easy to use, may cause you to exhibit a less than focused behaviour when using it. This lack of attention and focus, caused by your attitude that the system is easy to use and so doesn’t need your full attention, could lead to carelessness and mystifying loses. The second important aspect of the internal structure of an attitude is known as the ‘affective’ component. The ‘affective’ component refers to the feelings or emotions that you have linked to the object or person during your ‘evaluation and judgement’ process. The affective or emotional aspects can influence attitudes in a number of ways. A non-trading example might be when people are afraid of spiders which causes them a negative emotional response when they see one. This emotional reaction is likely to contribute to them having a negative attitude toward spiders. The same could apply in trading when experiencing a losing trade, which often creates a negative emotional response. The negative emotions experienced may lead to the adoption of an unhelpful negative attitude. This negative attitude is likely to show itself as soon as a live trade is in a losing position possibly resulting in you producing profit damaging behaviours. The third aspect of an attitude that it is crucial to be aware of is the ‘behavioural’ component. Generally, the creation of a person’s attitudes will also be influenced by their past interactions and experiences with a specific person or thing. This means that any actions you took or experienced during a previous engagement with a person or object will contribute to your later attitude toward that person or object. For example, if the first time you meet someone they are aggressive and rude toward you this may create a less than positive attitude toward that person. If the next time you meet them they are charming and respectful, you may not connect with this immediately because your first encounter left you with a negative attitude. This negative attitude will have activated as soon as you became aware of the other person and will have an affect on how you behave during the second engagement. 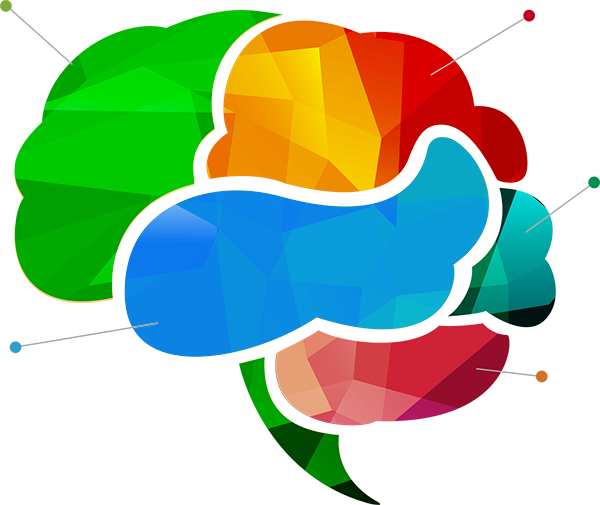 form the structure of an attitude and the combined information from each of these components is processed by your mind during your experience evaluation stage. All of the processed information from these three sources then influences your final attitude and determines the new attitude’s normal emotional intensity level. That is, how you generally feel about something based on your attitude. A key aspect of attitudes to be aware of is that the more often you access a particular attitude, and it’s associated emotional reaction, the stronger the attitude becomes. Current neuroscience shows that the more we use a specific neural network in the brain the stronger it becomes and explains why apparently ‘normal’ people can be indoctrinated into racial hatred and other extreme behaviours simply by constant exposure to emotionally fueled extreme attitudes. As in other areas of your life, your psychological trading mindset is created by mental training and your attitudes are an important part of your trader mindset. Now you know the structure of your attitudes, let’s dig deeper so you can be clearer about how your attitudes impact your trading behaviours. Expert traders advise that it is important to be disciplined and focused when trading and your attitudes can influence this quite a lot. I have already mentioned how your attitude can affect your ‘attention’ to your trading and if your level of attention is not high during trading then your discipline and focus can be negatively impacted. A lack of focused attention can adversely affect your behaviours during interpretation, judgement and use of trading information which could seriously harm your trading profits. Any negative influence on trading behaviours will tend to be more apparent when your stronger trading related attitudes are activated. Your various attitudes are easily accessible to your unconscious mind, especially when engaged in live trading, and can bubble to the surface and affect your behaviours very quickly if triggered by something in your trading activity or environment. I promised to teach you about your attitudes; what they are, how they are formed and how they may influence your trading and we have now done that. Attitudes are something we all have and use, mostly unconsciously, in our daily lives but few people stop to think about what their attitudes are or how they affect current behaviours. 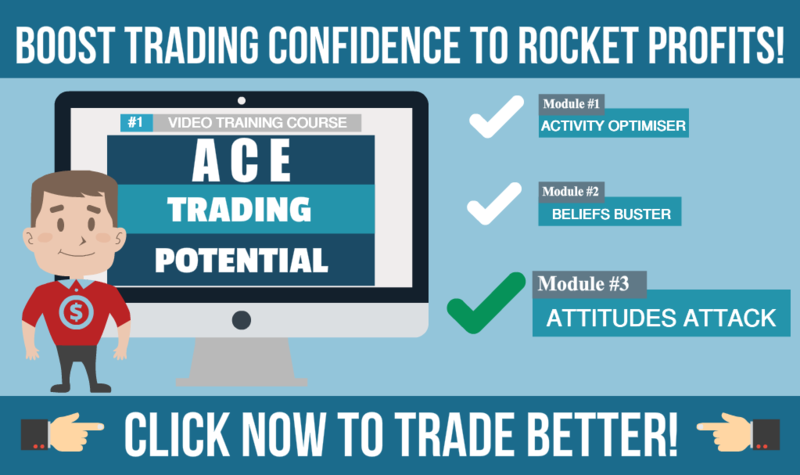 You are now several steps ahead of most other traders because in this video training you have learned how important your attitudes are to your trading success both now and into the future. In video 1 of this series we learned what attitudes are and how they are formed and in this post you have learned the deeper structure of an attitude and some of the ways in which it can impact on your trading. In the third and final part of the series I will give you a method for discovering your own unhelpful attitudes so you can adjust them to work for you rather than against you. That’s coming very soon…see you then!